No, it is not a misprint though ‘three cheers for Pat can certainly be sent! I did just that and have been using them ever since. Every time I do, I think of Pat! So Two Chairs and Three Cheers for Pat! Patrick was a rarity in the world of magic – the genuine article, a man who had done it all, knew it all and yet had nothing to prove except how generous he could be. I had the privilege of learning from Pat’s lectures in Baltimore, MD, USA and each time learned much more than tricks – he shared priceless lessons on how to entertain real people in the real world. Looking over my current shows, there is an amazing amount of Pat in them. From “Easy Money,” (easily the world’s best trick for salesmen and the most-copied trick ever), to “Hanky Panky,” (a staple of street performances), Pat has been a strong influence, as he has with so many. Every time an audience applauds for the “Comedy Color-Changing Hank,” or children laugh in delight at the “Miser’s Dream,” or want to hug a puppet after the show, I shall remember Pat, and thank God for his life and generosity. Among the hundreds who loved him and the thousands who had reason to, Pat will always be remembered fondly and with a grateful heart. Pat, I just hope that God can stop laughing long enough to bless you! Patrick sold me the very first tricks I ever bought. Whenever I reminded him of this he would reply ‘and God has never forgiven me’. His reputation and manner scared me when I was a young magician but when I grew up and began to work with him I realised what a wonderful human being he was. On tv shows like ‘The Quick Trick Show’, The Hidden Camera Show’, ‘Dirty Tricks’ and some of Derren’s tv and stage shows he taught me huge amounts about magic and, more importantly, about how to live a good, happy and successful life. I miss him every day and feel that, with his passing, we have lost a link to magicians of the past and an irreplaceable, encyclopedic, knowledge of the craft. Pat was the most knowledgeable magician ever to cross my path. He readily agreed to contribute to my book on his close friend, the late, Ken Brooke. Then, after it was published, he apologised for not writing more. His magical knowledge, generosity, warmth and honesty will be greatly missed by all who knew him. Bless you Pat. I had the pleasure of your dad’s company a number of times over the years and will always appreciate the advice he gave me. He was a down to earth man with no airs or graces. What you saw is what you got. His wisdom and experience you couldn’t buy. It still brings a smile to my face when I think about the time he stood on a stool for over an hour just to make sure everyone could see his lecture. It was nice to see you at Blackpool keeping his legacy alive. Patrick Page was not a magician. He was “the magician”. Patrick taught us everything and much more. He taught us that what was important was the way that you moved, your deliberation, your subtlety, and the kindness and warmth of your character. Then he taught us the technique and routines that we wanted to learn about. He was the total artist – a great man with immeasurable amounts of kindness. He was a family man and through him I learned about his wife Margaret who sadly I never got to meet other than through his words. He loved his grandson, Robert, his daughter Janette and son Jeremy, and his son in law Philip. He talked about them all the time he was with us with deep affection. He managed to communicate with everyone through his art, an art that went far beyond magic. It was the magic of his glance that captivated you. The day that I told him that Patrick had made his final journey, my father (who does not speak a word of English) took out a pack of cards that Patrick had given to him and which he had kept as one of his most treasured possessions. Patrick did magic in English and my father, despite not understanding a single word, got enormous pleasure from it. That is the way Patrick was – a man who was universal, loved, kind, warm and affectionate and generous, – a man who was a one off and was indispensable. In Argentina, a country of great magicians, Patrick has played a fundamental role in the development of the art of magic. For me personally to have known him and have him come to my Magic Bar in Argentina twice has been one of the highlights of my life and a great privilege for me..
Patrick Page passed away a year ago this month. As a mark of respect we’ve reprinted below Derren Brown’s lovely tribute to him. Pat Page has always been an inspiration to me. The first ever lecture I attended (I was 14) was Patrick’s and at the end there was a deluge of people wanting to talk to him. He took me to one side and spent all the time in the world helping me learn a coin trick, while all the grown up’s patiently waited to talk to him or ask him questions. He made me feel like I was the only person in the world at that time and only left to talk to all the adults when he knew I had understood it perfectly. Not only was Pat very knowledgeable, but he was a real magician, and a wonderful human being. I think that heaven is not a place but how people remember you – and is Pat sadly missed, but fondly remembered by all! I only heard the sad news about Pat’s death several months after. I felt extremely embarrassed over the fact that I hadn’t been able to attend his funeral and join with so many others in showing my sincerest respect for a man I so deeply admired. He has since received so many varied and well deserved tributes to his generosity, kindness, talent, originality etc. particularly from the magic community that it seems difficult to add anything very significant to what has been such an overwhelming outburst of praise by his peers. I first met Pat over 50 years ago when for 4 shillings he sold me his “10 Second Paper Tear” a trick which I have done on and off ever since. In fact that applies to all his creations. Decades later I used to joke to him that this was the best 4 shillings I have ever invested in my life. He was a great ideas man. I remember going into Davenports one day in the sixties and he said ‘Chris I have just the prop for you’ and he brought out an enormous Spring Goose about 6 ft. tall. My mind was limited to thinking how I could use it as a production item. He said “no adapt it so you can put your whole arm in it’s neck and use it as a puppet”. I told him I was already using my Herbert the duck but I’ll have it and work on it later. Over the next few years I used to look at it on occasions thinking to myself I’ll use it next season. Nearly 10 years later Rod Hull and Emu arrived from Australia and created an absolute sensation with exactly the same idea. By then of course it was too late for me I had missed the boat & would have been accused of plagiarism. I remember going to his joint studio one morning in 1981 he didn’t know I was coming but the door was open and he had his back to me watching a video of my show of the previous night at that year’s Ron Macmillan Convention. He didn’t know I was behind him and he said to his business partner play it again. All of a sudden he slapped his thigh and shouted “that’s how the b——d did it”. When I clapped they both turned around and for a moment he was shocked to see me there. He then said to me with tongue in cheek “if it’s any consolation to you, I have had to look at that bloody sequence 15 times before I got it”. Praise indeed from such a clever inventor and so knowledgeable a performer. As I am writing this tribute the memories come flooding back to me because there are so many anecdotes I could tell. I just have to conclude by repeating what so many others have already said that he was a talented performer, brilliant & practical inventor, authoritative writer, great demonstrator and outstanding lecturer who has benefited the whole of our business. I am so genuinely sad that I will never talk to this great man again. I never do any show without at least using one of his inventive gems, so in a funny kind of way every time I work I continue my friendship with him. I know that will always happen until its my turn to leave this world. Pat was always a real pleasure to work with (we were on the same shows many times over the years) and I loved his “no nonsense” approach to life. He was a big part of the British magic scene and will be really missed. I had the pleasure to meet your Dad about 20 years ago in the Netherlands and was quite inspired by his approach and enthusiasm. Thanks for bringing his material to the market. I have just received my copy of “The Pageboy Speaks…Again”. Wow! What a read. I just couldn’t put the book down till I had finished it and now having finished it, I want to read it all over again! It is FULL of wonderful reminiscences and advice from those glorious years when Pat was in full flow. Was he ever not in full flow? I will certainly miss his acerbic wit. I had a complete file of Pabular once, and although it has now long gone, I wished that I kept it, but the next best thing is to own this wonderful book. 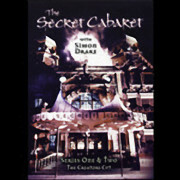 It gives a wonderful flavour of what the magic scene was like in the 1970’s and 1980’s. I will certainly tell everyone about it and I wish the Page family a huge success in their new venture. Every close-up worker should be eternally grateful to Pat for inventing “Easy Money”. The BEST close-up item in my repertoire and I guess many others too. Sadly, he received little recognition and acknowledgement for this great invention (or any of his others for that matter!). He always ended his articles (as he did his phone calls) with “Goodbye”. Let us never say goodbye but …..till the next time we meet. Pat Page is my hero. One of the finest all-round magicians ever and the most knowledgeable you could ever hope to meet. My fondest memory of Pat is having a full days workshop with him on one of his best tricks, the Miser’s Dream. He knew everything about this trick- he’d literally written the book. He shared all he knew with me, held nothing back and patiently taught me the correct way to do the sleight of hand as well as the best way to perform the routine. About 5 years later he came and saw me work and I performed my version of that trick he taught me. The last time I saw Pat, he told me he’d liked it and sold me a fine bucket to perform it with. His approval meant the world to me. It was such a special moment. I feel so lucky to have spent time and learnt from such an extraordinary performer and gentleman. I miss you Pat. I wasn’t prepared even though I knew. I treasured our friendship, every moment, every word of advice, whether it be life or how to be an entertainer, and also the many laughs we shared. Also, I enjoyed, the many hours of folk music you so dearly loved. When you see Robert Johnson, Mary Travers and Les Paul, give them my regards! You, Patrick, were one of my main “Go to Guys”. One day all of those “Guys” will be forever gone with NO ONE taking their place. The ranks are thinning out. For Patrick was and is MAGIC! I would like to see some of those “Big Shots” that everyone praises and “thinks” they’re gods; the Copperfields, Mavens, Ammars and Thompsons, pay some homage to Mr Page on this site. For I know Patrick influenced them also. They can hang up their egos at the door for 5 minutes and express their thoughts to the family and the public. Pat’s own brand of warmth, his kindness and humour continues to shine in my memory and just thinking of him brings a smile and even now, nearly a year after his passing, often a tear or two. I miss his weekly visits and chats over numerous cups of tea. I miss his disapproving looks and practical, quite bafflingly simple remedies to my usually over complicated builds. I miss his voice on the phone, proudly announcing “My name is Patrick Page”. I am grateful that I have gained a very special voice in my head, with a clipped Scottish accent. Not just when working on things magical but in many aspects of life I can hear echoes of Pat’s voice. A voice of wisdom, of simplicity, patience and experience. Rare to praise, always encouraging and incessantly cracking lewd jokes. Pat was eternally helpful and he leaves us all a profound legacy, one which this website rightly honours. I feel immensely privileged to have known such a wonderful man, a true and utterly irreplaceable “Legend of the craft of Magic” who gave far, far more than he ever took. They just don’t come any better. Goodbye. I had the opportunity to meet Mr Page with one of my idols, the late Channing Pollock. They had met many years earlier during the 1950’s when Channing was the hit of London performing what was one of the most copied acts in all of magic. When Channing introduced me to Patrick, it was as though we had known each other for years. He was very complimentary on my card manipulation technique. That was the generosity and warmth of Patrick Page. I still can’t believe Pat has gone. I loved being around him and working with him. His encyclopaedic knowledge and no nonsense practical approach to everything was an inspiration. More inspiring, however, was his tireless enthusiasm for magic and life. I miss being able to pick up the phone and have him say something truly filthy to me. Hello to everyone in the Page family and all involved in the wonderful new website. Congratulations to you all first for this long awaited / overdue website. Unfortunately, I never got to meet Patrick but hand on heart he was the first person I came across on my long road of tuition in magic. It was a Patrick Page video, yes video cassette that I learnt to perform sponge ball magic from. To this day I still perform the sponge balls and bowl routine that is featured on the video along with several of the sleights to vanish the sponge balls. I am a member of the Newcastle Magic Circle and after the sad departure of one of magic’s greatest legends, a tribute was posted on our home page and Martin Duffy, our secretary posted on Facebook to make all aware of the passing of this great man. I wish I had met Patrick. He comes across on the videos as such an honest, talented, knowledgeable and most importantly genuine man. I wish you all great success and would like to thank you for continuing his work via the website. I know that for those who aren’t already aware of Patrick’s contribution to the magic world, will soon become aware of him and his work, and treasure the gems you have graciously shared via the Patrick Page Online Store. Needless to say, I will be a regular customer. Patrick will never fade from our memories or the history pages of magic or life, so rest in peace good sir and countless others and I attempt to continue your amazing craft with the passion it so deserves. A very Merry Christmas and good health to you all. I became interested in Magic some 33 years ago. I never met Pat Page and I am sure I am the poorer for it, as any time I watched him he had a great personality. Lots of people in this country say Paul Daniels was their biggest influence. To me, it was Pat Page. My first introduction was to his trick-a-tape series. I still have them to this day and will never let them go. I learned so much of my magic and timing from these tapes. My funniest recollection of Pat was on the Faking It programme where he was asked to comment on the Kevin McMahon performance. Pat said “You know we have a saying in Scotland that best describes this – SHITE!!!!!!”. I like the others on the programme creased myself laughing. Being Scottish, I found it particularly funny. 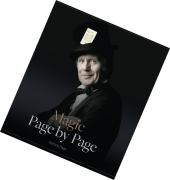 There cannot be a magician pro or amateur who has not heard of Pat Page. His knowledge of every aspect and genre of the art was legendary and his lectures were a joy. As a boy, I discovered Davenport’s where the bug really bit, and Pat helped and encouraged my interest. In recent times, he joked to me that he remembered me when I had hair! When I think of Pat my mind goes back to the many happy hours I spent with him over the years learning my craft at the “foot of the master”. He always had a new trick that he was working on and never stopped thinking about magic. He was the most generous man I have ever met and a truly great teacher. He was outspoken and honest and if your card manipulations were rubbish…… then he told you so in no uncertain terms. He gave me a career in magic and a life I could never had have without him. Pat and I knew each other for over 50 years. His friendship, wit and generosity, together with his unique talent, made him one of the truly great people in magic. His memory will be cherished throughout the world for as long as people wave a magic wand in the name of entertainment. Pat had friends throughout the world and he was an immense influence on the world of magic. He helped so many, more than we can ever know. If the meaning of life is to leave the world a better place, then Pat has fulfilled his role. He left the stage with us wanting more. I find it hard to express what his loss means to me, not only as a great magician but also as a true friend. We used to speak at least twice a week with a (supposed) 5 minute call usually lasting more than an hour! We attended many conventions together and for the last 5 years Pat joined Sheena and myself in Paris each November (even making a herculean effort and being with us last November, 2009, with Karina) for the winter circus season. What a man, what a friend, what a loss, but what a privilege to have known him. A fine magician who was always willing to share his knowledge. (And a fund of fascinating stories too!) Rest well, Pat. Pat will be so sorely missed. I worked with him many times on stage crew at The Magic Circle and it was always a pleasure. His cutting to any card called for was stunning. His sound advice to all magicians (whether they asked for it or not!) was legendary and his knowledge encyclopaedic. We shared a liking for visual comedy in general and Laurel and Hardy in particular. Rest in peace you tetchy ol’ scot, you! In my opinion Pat Page was truly magic royalty. A very down to earth man and a fantastic performer. He is one man who WILL be truly missed. Genius and an inspiration to all magicians will be sadly missed in the magic community. I started in magic late in life…went to my first convention helping on Paul Scotts stall…think it was Cambridge..next stall was Pat’s. He spent every quiet moment teaching me stuff and gave me his book of comedy props. Later on I welcomed him to Wolverhampton Circle on a few sell out occasions. Proud to have known him .Let me know when the tribute show is on. I can never think of Pat without a big smile appearing on my face. Will never forget the time he carried the laughing sailor fom his act (wrapped in a blanket) over his shoulder and shoved it in the back of his old Hillman Minx and one of the neighbours called the police! Dear sweet Margaret always took his crazy antics in her stride. Then, of course, all the amazing tricks he would play on us when we were kids. So many great memories and stories. He will be so sorely missed. We send our deepest… condolences to Janette, Jeremy and their families. He was Magic incarnate! Susan Canavan. Palm Springs. USA. February 2010.